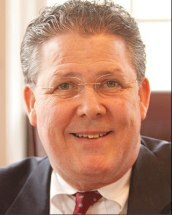 Mr. Boyce joined the firm in 2007. He graduated with honors from Albany Law School, where he was a member of the Law Review and the Justinian Honor Society. After law school, Mr. Boyce was a confidential law assistant to the justices of the Supreme Court, Appellate Division in Albany. He was then appointed an assistant district attorney for Monroe County, where he was assigned to the Special Investigations Bureau. Mr. Boyce entered private practice with the Chamberlain D’Amanda firm in Rochester, where he chaired the Personal Injury Practice Group. He has lectured other lawyers frequently on trial practice at bar association seminars. Mr. Boyce lives with his family in Mendon, where he serves as town attorney.